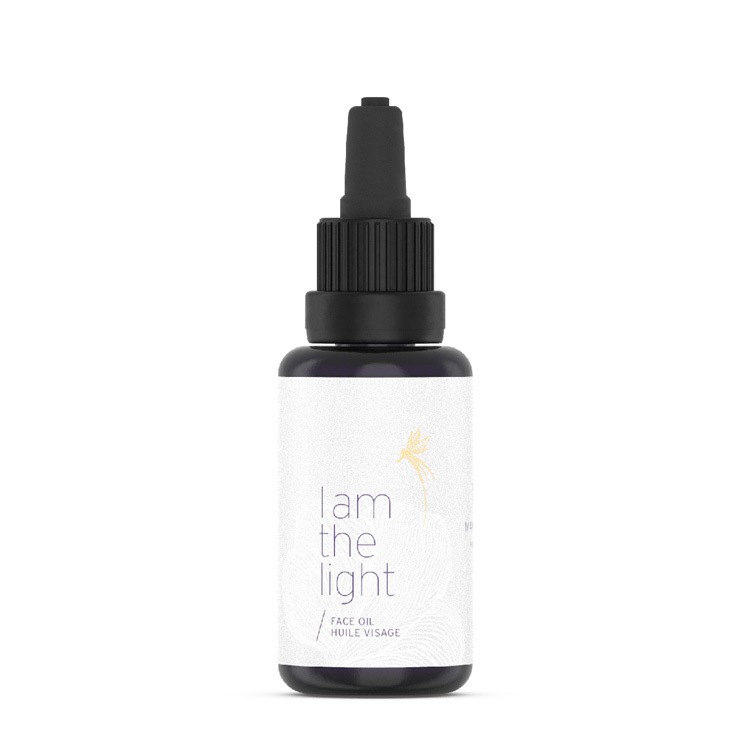 I Am The Light Face Oil by Max and Me is a golden-hued face oil, which instantly promotes a look of illumination to tired skin. This rare blend leaves your skin looking smooth and glowing with a silky and seductive feel. The heavenly aroma embodies beautiful vibrations and promotes a feeling of light from within. A harmony of carefully selected precious oils like argan, marula, wild rose, pomegranate and apple blossom are blended with a delicate bouquet of pink lotus, rose, jasmine, neroli, white fir, cypriol and frangipani that bestow an appearance of bright, toned, youthful looking skin. Your complexion is left with the look of light, luminance, and radiance. Warm a few drops in your palms and inhale deeply. Then massage the facial oil-blend onto your moist skin with - oh so gentle - circular motions from below upwards, beginning with a stroking motion up your neck. Pat an extra drop gently around your eye and mouth area to soften the appearance of lines. Out of an abundance of caution, due to the presence of cypriol, which has been used to regulate hormones, I Am The Light is NOT suitable for pregnant women and NOT suitable for children under five years of age.